The rupee recovered from its all-time low of 71.58 and strengthened by 20 paise to settle at 71.38 against the US dollar in the opening trade at the interbank foreign exchange market Wednesday on fresh foreign capital inflows. The domestic currency had lost 37 paise to end at a fresh lifetime low of 71.58 against the resurgent dollar Tuesday as persistent trade worries and macro concerns continued to proliferate. A positive start of local equity market also supported the rupee, dealers said. 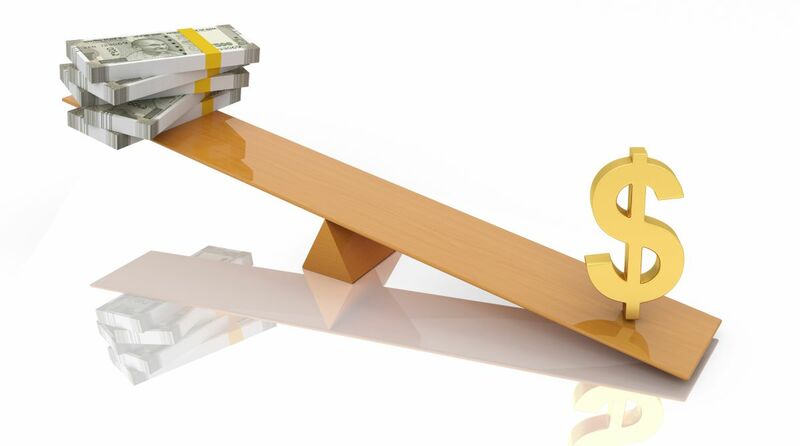 However, the dollar’s strength against some currencies overseas as the lingering threat of a major escalation in the trade conflict between the US and China, capped the gains of the domestic unit. Foreign institutional investors (FIIs) bought shares worth a net of Rs 32.64 crore on Tuesday, provisional data showed. Meanwhile, the 30-scrip Sensitive Index (Sensex) opened on a positive note during the morning trade session on Wednesday. The Sensex is trading at 38,238.25 points up by 80.33 points or 0.21 per cent from its Tuesday’s close at 38,157.92 points. On the other hand, the broader 51-scrip Nifty at the National Stock Exchange (NSE) opened at 11,514.85 points after closing at 11,520.30 points. The Nifty is trading at 11,521.90 points in the morning.